Go anywhere vehicle of choice. You can see it in the wilderness of South America, in the deserts of Africa and at high altitudes in European Alps. Along Toyota LC, the Land Rover is the vehicle of choice of UN, many militaries and other government agencies throughout the world. 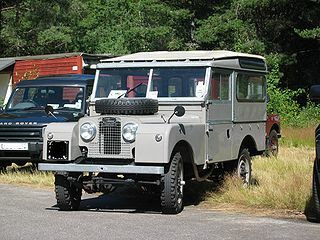 1948 was the year when Land Rover Series I was born. At first it was meant to be a two or three year production run so that Rover could get some cash flow to start producing more up market models but due to wide acceptance and success it developed into its own brand that we know today. For the whole decade Series I was in production before Series II took over in the factory lines. Series I came with both petrol and diesel engines. Petrol engines were 1.6 and 2.0 litre four cylinder variants and diesel was 2.0 litre but only in the last two years of production ( 1957 to 1958 ). Four speed manual transmission was standard on all variants. Series II and IIA saw many improvements. 1.6 litre petrol engine was replaced by 2.0 litre and 2.25 litre was added to the range. IIA later got 2.25 litre diesel and 2.6 litre six cylinder engine. 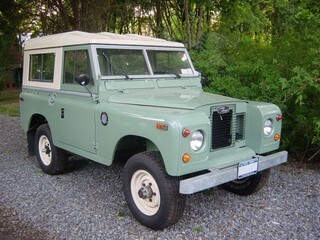 In 1971 Series III began its career as one of the most successful LR’s ever. Almost half a million units were produced and sold from 1971 to 1985. 3.5 litre V8 engine was added to the range. Defender was the new name that Land Rover introduced in 1990. It is still in production today and a living icon of automotive industry. In the 2000’s minor tweaks were made to both the body and engines to meet new regulations and standards but this 4x4 vehicle is still the same in its essence - a sturdy, go anywhere vehicle. By 2015 we will probably see new model since the design of current model is obsolete and doesn’t meet new US safety regulations ( since 1998 ) and EU pedestrian and crash regulations. Concept car was already revealed and named DC100 but no new information regarding actual production was released to date.